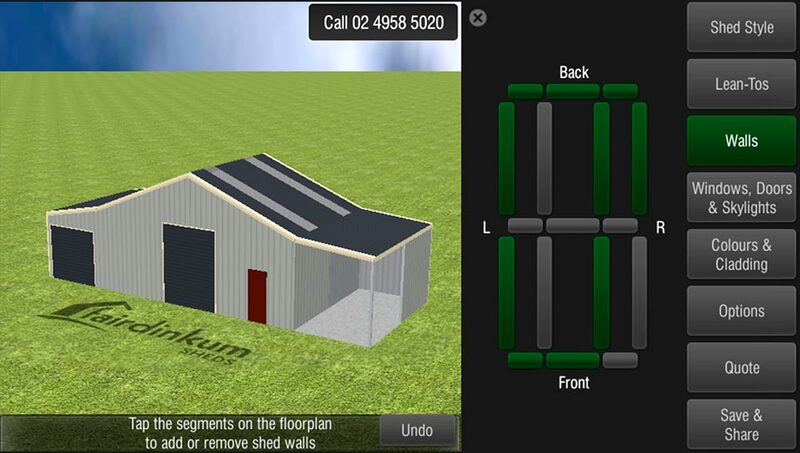 For an affordable solution to style, look no further than a Fair Dinkum Sheds barn. 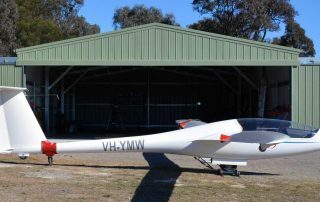 Our barns and large sheds can be used for many applications including car garages, boat sheds, workshops, housing caravans, horse stables, storage rooms and game rooms – the list is endless. 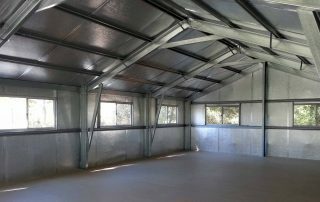 Choose from a number of styles and heaps of colours that will make your barn a standout asset to your property. For an affordable but stylish solution, the ideal is the American Barn. 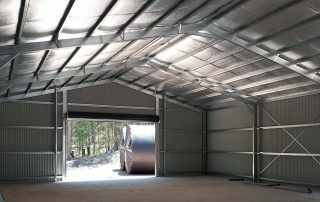 With its distinctive “shouldered” profile and extra space, American Barns are great for so many applications including multi-car garages, boat sheds, workshops, housing caravans, horse stables, storage rooms and game rooms – any large storage solution. And they are fully customisable. Length and width can expand to suit your application, as can the heights for either the middle section or the side lean-tos. 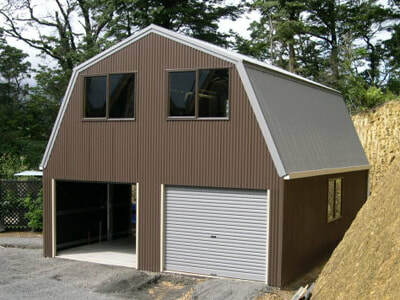 The standard roof pitch for American Barns is 22° but a mansard roof also looks great. 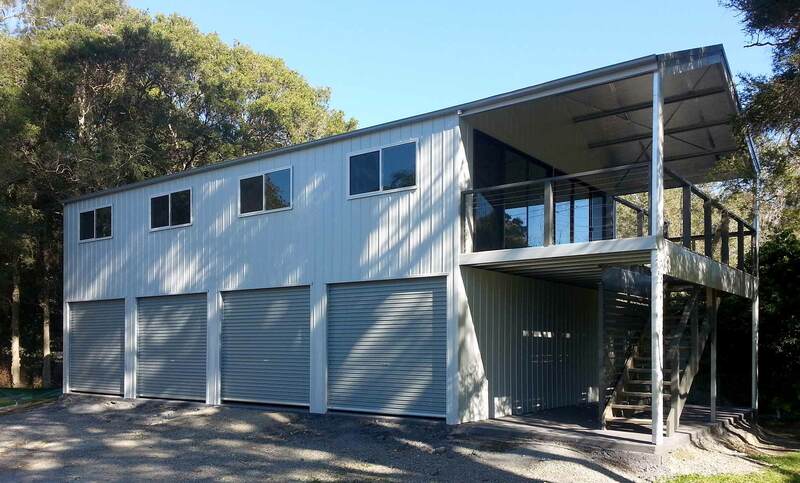 Turn one side of your American barn into a verandah or carport. 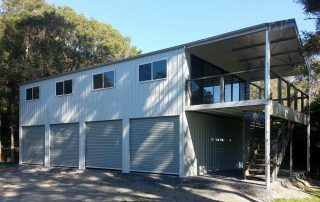 Personalise your barn with windows and glass sliding doors, right down to flyscreens, security screens and window locks. The additional ceiling height allows a mezzanine floor to be included as additional workspace or storage – or whatever you need! This unique looking shed is not simply making a style statement. 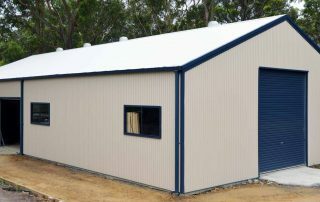 Its much greater headroom is ideal for housing something tall, or adding a second floor for a workshop or studio office. 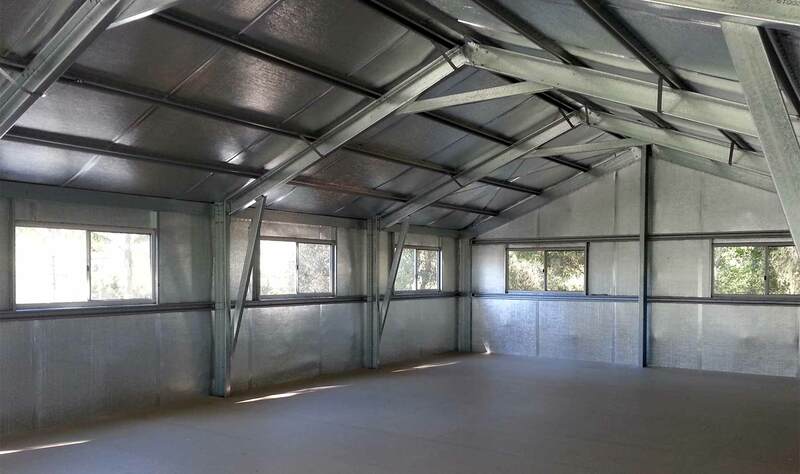 And with a minimum width of 6 metres, Quaker Barns boast wide open spaces, so they’re often used as double garages with massive storage capacity. Quakers Barns are supplied in your choice of either vertical or horizontal cladding – and they really seem to suit strong colour schemes. Not all sheds have just doors. 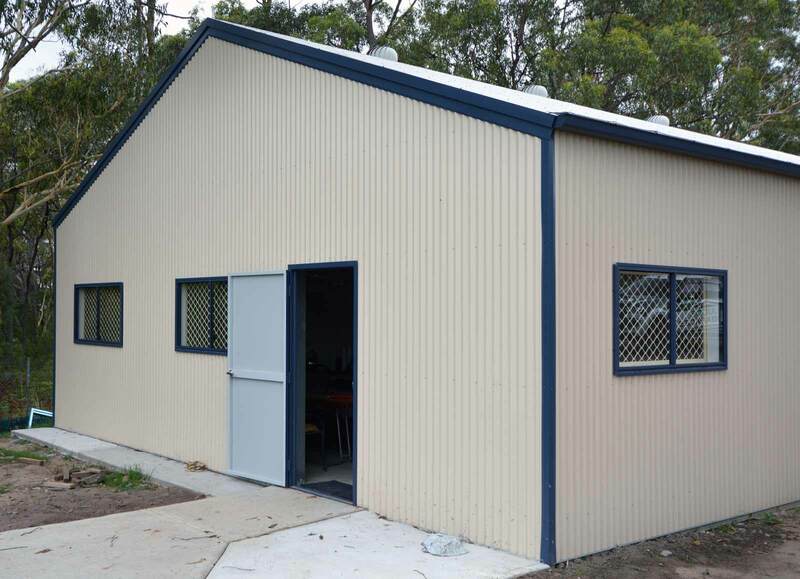 Our Farm Sheds are available in a massive range of sizes and configurations. 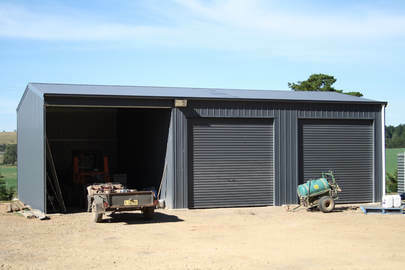 Whether you’re after a large hay shed or somewhere to store expensive farm equipment and or stock, even horse stables, we can customise a design to suit your exacting requirements. Mix and match open bays and closed bays, divider walls, steel sliding doors and roller doors. If you have a design in mind, our highly trained staff have the ability to make it work. 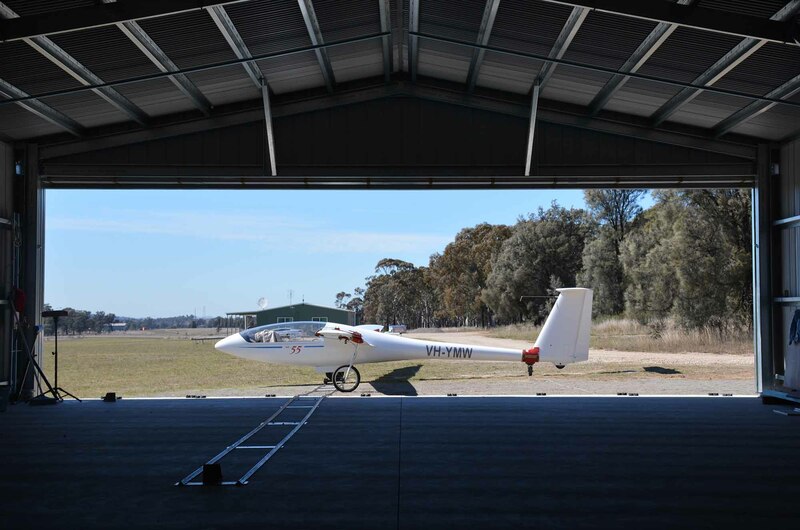 There are over 100,000 of these buildings throughout the country – all designed with Australian conditions in mind. 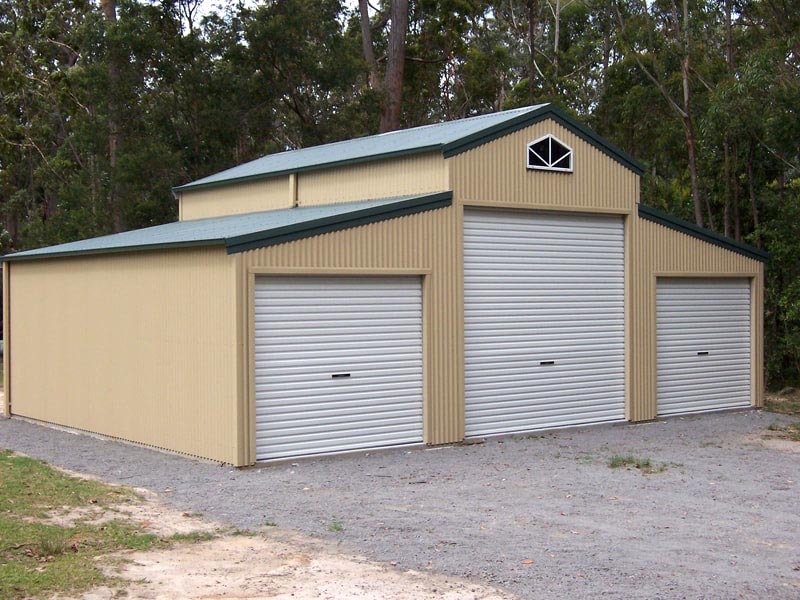 Judds Garages is an official distributor for Fair Dinkum Sheds. 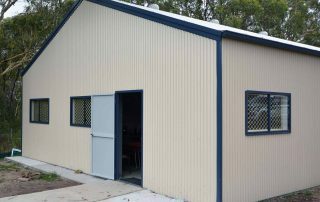 Their sheds and barns are made from steel, which is inexpensive compared to brick and timber equivalents, that can cost up to 400% more for a similar-sized building. 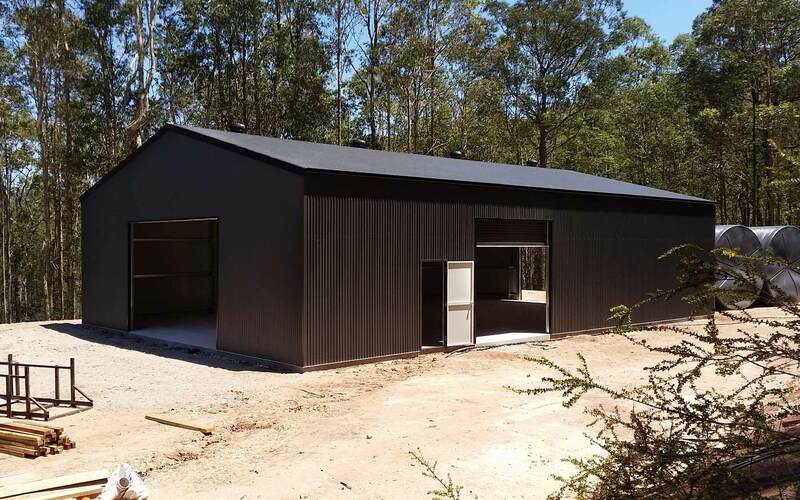 The COLORBOND® steel cladding is available in a range of attractive colours to co-ordinate with any setting and being extremely durable, will look great for years to come. 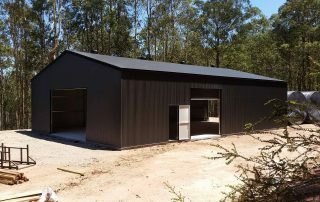 A Fair Dinkum Sheds barn or large shed is the perfect addition to any Australian property. 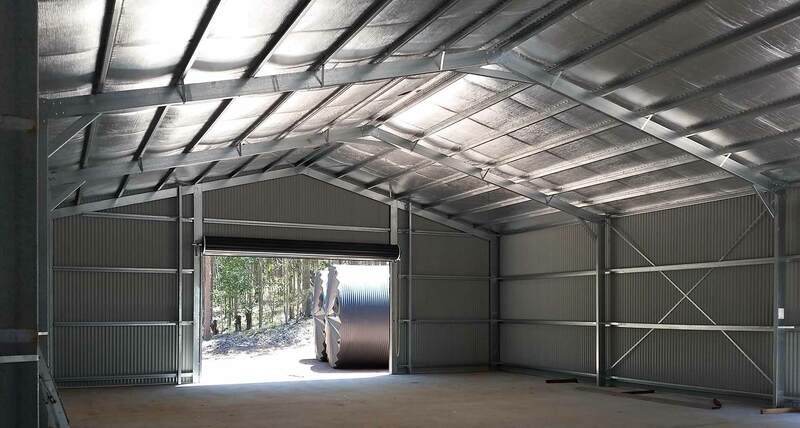 Want a free quote in minutes for a steel shed or barn that’s just right for your needs? We’ll call you back ASAP within our business hours.